No clue how this type of thing gets arranged, or what Rutgers could’ve possibly paid Migos, but this is great press. Is RU football back? We’ll see. But I can’t think of a better way to hype up the group than a personal Migos performance with luscious trees and the sunset in the background. If Takeoff doesn’t want to left out of the Bad and Boujee conversations, then Rutgers shouldn’t be excluded from Big Ten conversations. 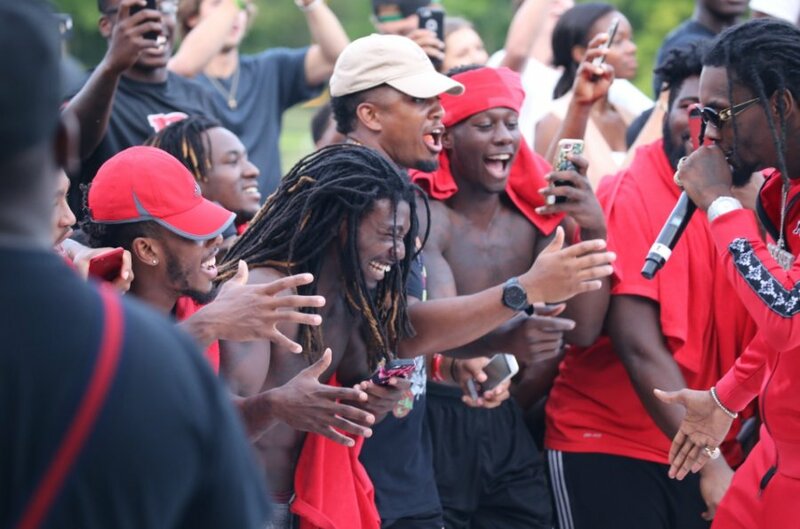 Personal bias aside, what a moment for RU football. Migos is running the game right now, so by the transitive property, ipso facto, Rutgers is on top of the world right now. For a team with minimal expectations, this is a win for Rutgers. Wins are few and far between in Piscataway these days, so I’ll take it.